What’s good? I love modular lids. They make so much sense, especially when touring and travelling, as pulling up in the middle of nowhere and asking for directions through a muffled helmet can be intimidating for a local. But pull up and flip up to reveal your pearly whites and you’re in with a chance. Petrol station attendants will love you, you can take photos, sip water, eat a choccy bar, shout at a car driver - all are made possible with a flip-up lid. And the C3 Pro is the crème-de-la-crème. One easy-to-thumb tab under the chin bar releases the jaw piece, which smoothly moves up. The helmet itself is light and comes with two vents that allow plenty of air in. It’s cosy inside with plush, removable padding. I haven’t felt any aches, sores or pressure points even after riding 1000 miles in a week. Instead of a traditional D-ring strap it uses a quick and easy-to-fasten micro-ratchet. One of my favourite features is the incredibly easy to remove visor which takes one click on each side to pop off. What’s bad? Noise. You will get a bit of sound running through the lid, which is the curse of the modular helmet as they all suffer the same fate. 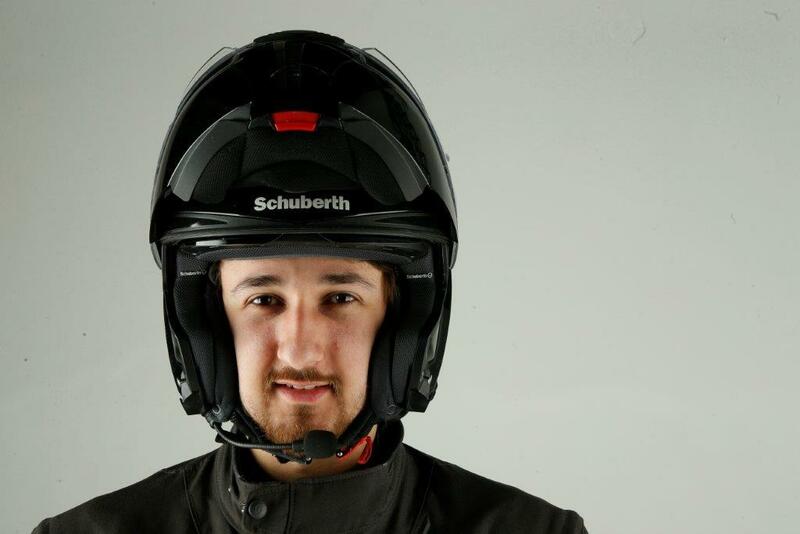 But the Schuberth is nowhere near as bad as others I have tried. A good pair of earplugs is still in order though. The German firm ask for a premium price tag at £499.99 for plain colours and up to a whopping £599.99 for designs. What’s good? It’s amazingly quiet, almost spookily so, it’s like upgrading your head to first class.